Squeee! 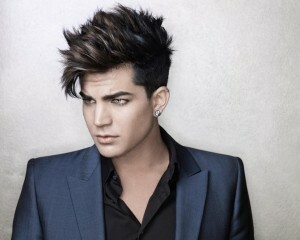 Aussie Glamberts rejoice! Your favourite performer is heading to Australia next month to take to the stage for a very exclusive performance in Take 40’s ‘Live Lounge’. Taking place at The Standard in Sydney, the gig will give fans the chance to get up close and personal with the US star, where he’ll answer a series of Q&A questions and perform tracks from his latest album ‘Trespassing’ in intimate and live mode. Understandably, Adam’s thrilled to be taking part. “I’m so excited to be coming back to Australia, and can’t wait to play the Take 40 Live Lounge so I can share that great intimate experience with my fans,” he said in a statement. There are a few provisos in getting tickets, however, so best head HERE for all the details. GLAMBERT, try to win tickets to this event, closes next week…..go to…Take40.com/competitions. did any body see the concert at Hammersmith?? Adam jumped down off the stage singing”I want to break free” walked around the peeps at the front & climbed back onto the stage, well, there were parts of AL that wanted to “break free”!!! He’d torn open the crutch of his pants; so he incorporated this into the song,laughing,singing, and showing every one where they had torn.omg Only AL could do this. the master of surprise. yes …. Yes …. YES!!!!!!!!!! !